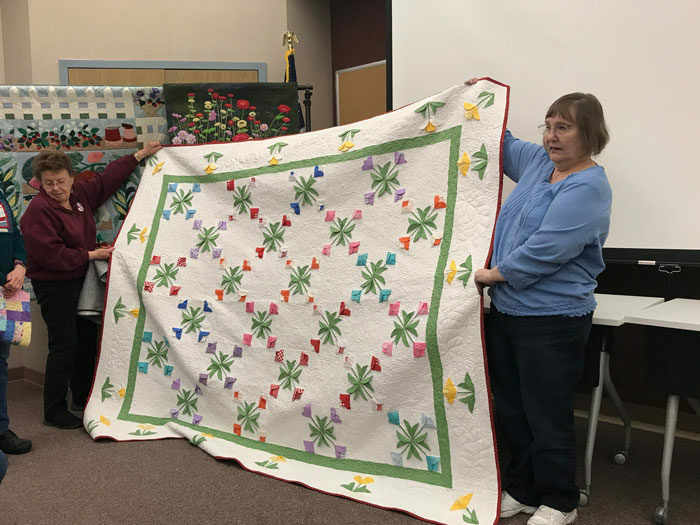 Thanks to the Columbia River Piecemakers Quilt Guild for inviting me to present my lecture last night on quilt judging. 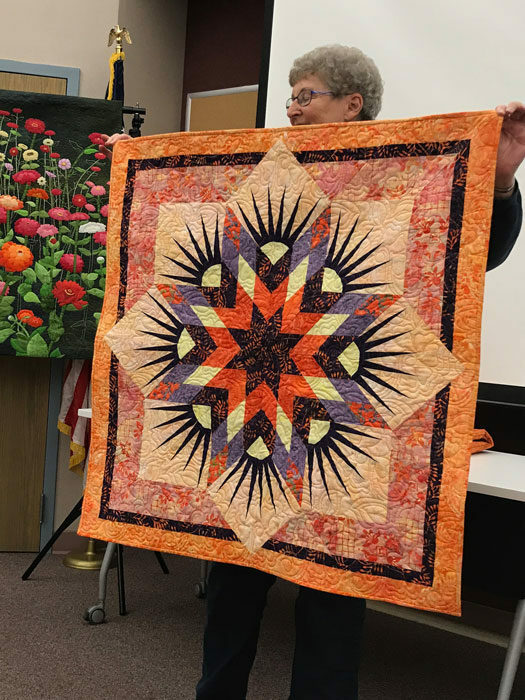 If your guild is interested in learning more about the process, I would love to come to one of your meetings. 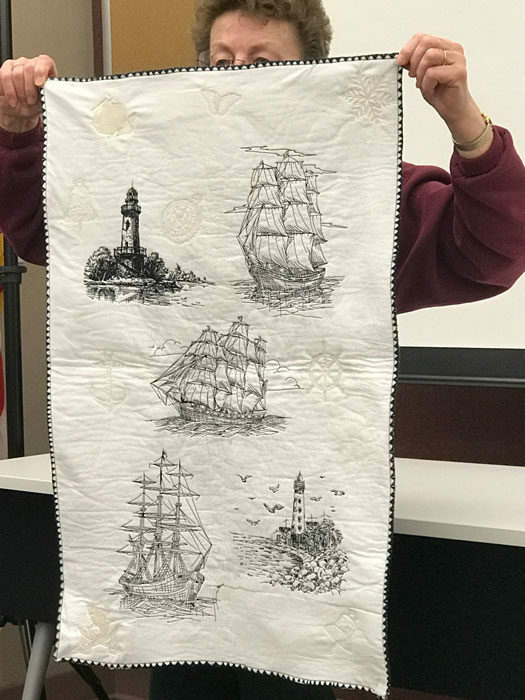 I do a power point presentation combined with actual quilts that illustrate how to improve your quiltmaking. I always like to attend the entire meeting so I can see Show and Tell. 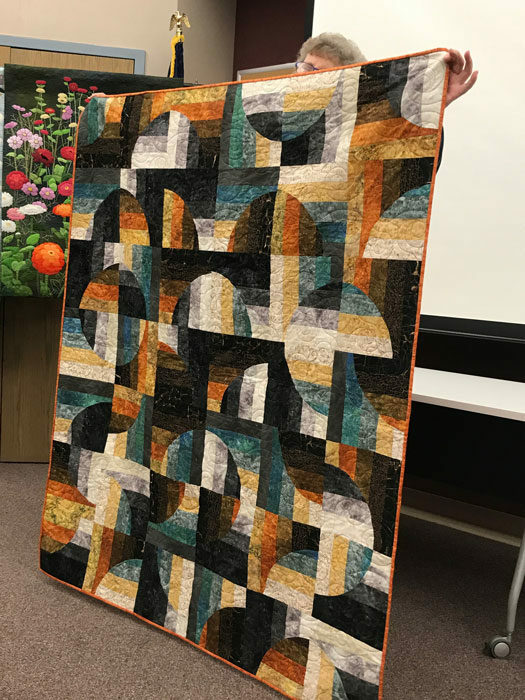 Here are some of the quilts I enjoyed last night. I love the bright, cheery color palette and dimensional flowers. This member just purchased a Baby Lock Solaris Embroidery and Sewing Machine. Here’s my friend Mary Ann Emerson showing off a bold color palette. Mary Ann has been busy. Here’s her small version of a Judy Niemeyer pattern.